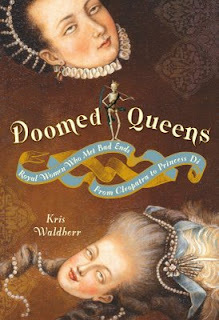 We have all probably heard the sermon: “those who do not learn from history are bound to repeat it.” Kris Waldherr exposes this truism with biting candor in her new book appropriately titled Doomed Queens. Part cautionary tale, part biography, Doomed Queens is chock full of regal queens meeting not-so enviable ends. 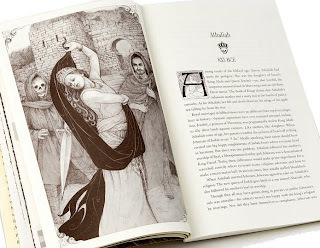 Readers will find all their favorite femme fatales like Anne Boleyn, Marie Antoinette, and Mary Queen of Scots, but also lesser known figures such as Empress Wang and Theodora of Trebizond. Waldherr reminds us, “too often history is written by the victors.” So true. For this reason, readers will be captivated by Arsinoe IV, the Jan Brady of history—pushed aside by her more cunning sister, Cleopatra. Then there is Juana of Castile who emerges from the shadow of her powerful parents, Ferdinand and Isabella to show how things really went down in the power struggle for the throne. hint: it doesn't end pretty. In each biography, Waldherr shows how herstory doesn't always end as happily as history. But don’t let the title fool you. Although undeniable a morose angle taken, at the heart of Doomed Queens is not how queens died, but how they lived. Did Joan the I of Naples deserve the same fate as her husband? Why was the deposed Irene of Byzantium a candidate for sainthood? It’s these types of questions that will have book clubs, classrooms, royalty aficionados and modern-day divas talking. I'll have to pick up this book - I just got into Juana of Castile's history. Thanks for the info- I will be looking for this one!